Robert Quebbeman, A.Mus.D., is an emeritus professor at Missouri State University, where he served for almost thirty years as Director of Orchestral Activities and Director of Graduate Studies in Music. During his tenure, he was the driving force behind establishing the Master of Music degree program at the university, and he advised the students and taught in that degree program for twenty years. Along with being a principal professor in the conducting program, he developed and taught the graduate-level course entitled “Score Reading and Analysis” for conductors. Dr. Quebbeman received his Doctor of Musical Arts in Performance from the University of Michigan, and both his Master of Music in Music History and Bachelor of Science in Education from Northern Illinois University. He studied conducting in master classes with maestros Herbert Blomstedt, Max Rudolf, and Elizabeth Green. He commissioned and premiered new works by composers such as Robert Jager, Jan Bach, and John Prescott, and he published articles on conducting. Active in state and national circles, Dr. Quebbeman continues to be a member of the College Orchestra Directors Association (CODA) and was a member of the American Symphony Orchestra League, for which group he appeared on national panels in the United States and Canada. For twenty-five years, he was Music Director of various opera companies, and he conducted renowned opera singers including Roberta Peters and Frank Guarrera, both from the Metropolitan Opera, and James Billings from the New York City Opera. 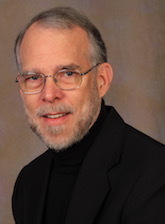 He was named Collegiate Educator of the Year 2010 by the Missouri American String Teachers Association and was also a member of the Music Educators National Conference and Missouri Music Educators Association. While at Missouri State University, Dr. Quebbeman conducted the Missouri State Symphony Orchestra, which performed extensively during the school year. Under his direction, the orchestra was the featured group on a nationally televised broadcast of MENC’s “World’s Largest Concert” and performed at the 2010 National Convention of the College Orchestra Directors Association. The orchestra performed on numerous occasions at the Missouri Music Educators Association state convention. In addition to the normal schedule of concerts, the Symphony Orchestra appeared yearly in the Music Department’s production of the President’s Concert, a series that presented major works for combined soloists, chorus, and orchestra. These concerts included works like Mahler’s Symphony No. 8, “Symphony of a Thousand,” the Verdi Requiem, Orff’s Carmina Burana, and the Berlioz Te Deum and Requiem.